Use file cards or strips of paper on which to write an action verb. Say, “We know that a sentence is a group of words that has a noun (subject) and a verb (predicate). It makes a statement, asks a question, gives a command or exclamation. It cannot be a sentence unless it has a verb. A verb shows what something or someone is doing or being. Sound confusing?" 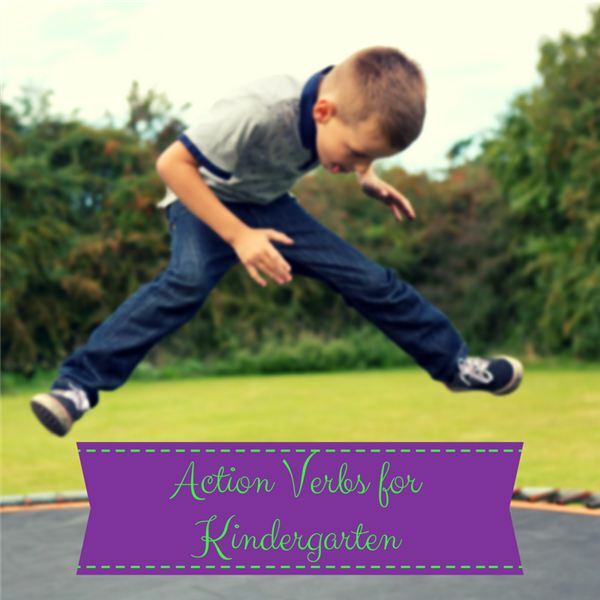 “Today we will learn about action verbs. What does “action" mean? Action can be some kind of movement. We are going to play a game called Charades. There will be two teams. One player from a team will be given an action verb and that player will act out the word trying to get his teammates to guess it. The player acting out the verb may not talk. That player must just use actions. The team members must raise hands to guess. Three guesses only then the other team can guess. The team that guesses correctly gets one point. As an example pick a card and act it out for the students to guess. Then place the students in two teams. You may choose the words from the cards you have prepared or let the students choose cards themselves. If a child is unable to read a word, whisper it to him or her. Start with the bolder children from each team who are not nervous about performing in front of the class. This activity gives shyer students an opportunity to become more comfortable in front of the class. Play Simon Says with the action verbs. Make individual or group picture dictionaries of several action verbs. Riggs, Kate. Verbs. Creative Education Publishing, 2013.